I work in grooming.I work in grooming.I work in grooming.I work in grooming. An experienced dog sitter willing to love and care your furry baby.An experienced dog sitter willing to love and care your furry baby.An experienced dog sitter willing to love and care your furry baby.An experienced dog sitter willing to love and care your furry baby. Hi , I am Cameron. I am a West Palm Beach Dog Sitter and a dog mommy as well. I hope to provide the best service around! !Hi , I am Cameron. I am a West Palm Beach Dog Sitter and a dog mommy as well. I hope to provide the best service around! !Hi , I am Cameron. I am a West Palm Beach Dog Sitter and a dog mommy as well. I hope to provide the best service around!! Dedicated Overnight Care Available Now!Dedicated Overnight Care Available Now!Dedicated Overnight Care Available Now!Dedicated Overnight Care Available Now! 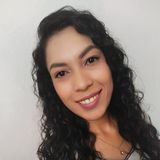 My name is Vanessa and I offer dog walking as well as dog sitting.My name is Vanessa and I offer dog walking as well as dog sitting.My name is Vanessa and I offer dog walking as well as dog sitting.My name is Vanessa and I offer dog walking as well as dog sitting. West Palm Beach, Fl, has one of the most beautiful beaches in the United States. With spectacular waterfront views, sunny weather, tons of exciting water sports, shopping etc. this city has a lot to offer. Known for its thriving nightlife, West Palm Beach, FL has all sorts of trendy nightclubs for memorable nights on the town. The city also features elite shopping establishments and delicious cuisine, ensuring that it caters to all age groups and personalities. This is a great place for pet owners and animal lovers. Whether you are on vacation, out of town, or just busy, we offer you skilled and enthusiastic professionals to take care of your pets at PetSitter.com.